The fine print on their new data rollover deals means free isn’t really free. Celebrations erupted on social media yesterday when Vodacom announced they would no longer be charging for data rollovers, but as pointed out by Twitter user @Arfness, it seems there are still some pretty onerous terms and conditions. 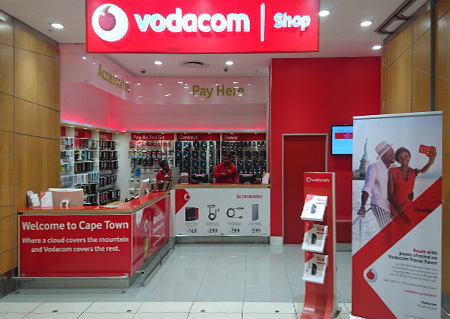 In April last year, ICASA ruled that data will not be allowed to expire beginning with this Friday, but announcements from Vodacom initially revealed how the company intended to comply while also charging customers for what should have been their right. Vodacom also claimed they would make free transfers of data to other users available, which is true, as long as what you are transferring is 50mb. A charge of up to R20 will be levied for this service if as much as 1GB is transferred. By contrast, MTN has a free “Transfer your data” option and Cell C allows three data transfers per day up to a maximum of 1GB per month for free. Vodacom also announced that from March 1, it would be dropping out-of-bundle data rates from R0.99/mb (prepaid) or R0.89/mb (contract/hybrid) to a flat rate of R0.49/mb for all users, which at first also seems like a deal until compared with MTN and Telkom who have standard Out of Bundle rates of R0.29/mb. Vodacom has also announced that it will make Out of Bundle rates available for R0.30/mb but this only occurs if users opt-in.